OK, let's see if everyone can keep up with all the action here. Cabrey tries to 6-bet minraise, doesn't get quite enough out there so it takes a minute to get the correct total 12,700 bet out, and calls the 12,700. The flop is 2-2-K, an all-in and a call from Cabrey. She's also ahead of the Ace-Queen of Brown for the first sidepot. 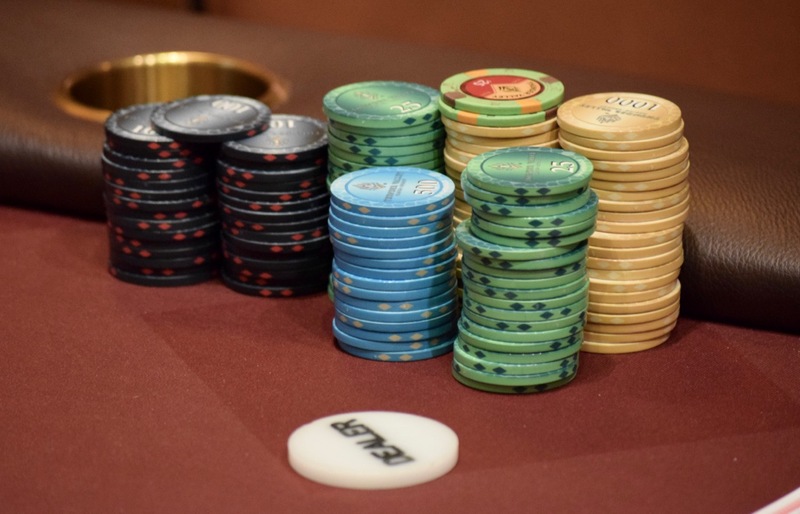 She's also ahead of the pocket Sixes of the short-stack for the main pot. The board runs out 4-5 and after all that work, one player scoops all three pots, collects two $25 bounties and off they go on a 15-minute break. The player in seat 10, who won all the chips, left before I could get here name, so I'll add that once she returns. You do the math on the total number of chips, this one hurt my head, I'm going to take some Aleve.